Do you love to enjoy working under the sun & to have fun on the sandy beach? You are full of energy, open minded, always happy, smiling and ready to go for it ? 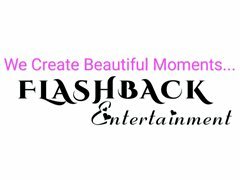 From May FlashBack-Entertainment need dancers and entertainers for hotels in Rhodes island Greece. meals,drinks and accommodation in the hotel area, we will reimburse part of your travel expenses. participate in fitness program like Pilates, aqua-fit, Zumba ect .. & evening shows performances. contract from may to end of October. Salary 700 euro net + extra bonus each week.